Monday - Tuesday 11:30am -9:00pm. Thursday - Saturday 11:30am - 10:00pm. Live music and belly dancing on the patio for summer entertainment. 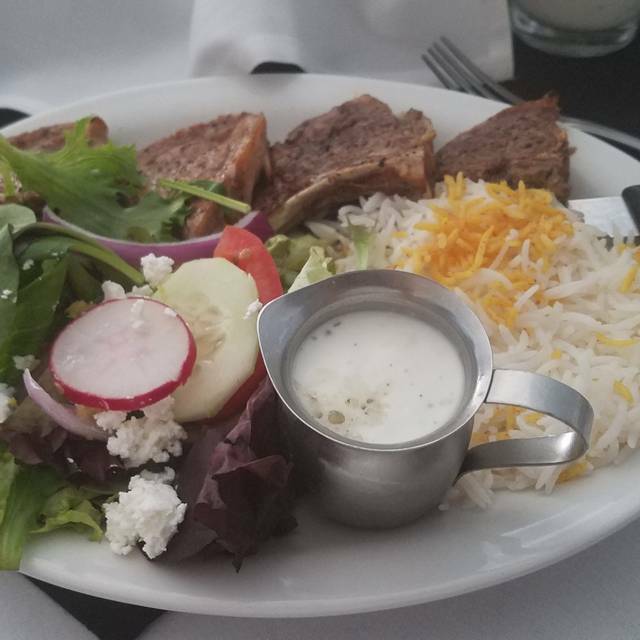 More than a Saint Louis original, Café Natasha’s offers Persian inspired cuisine with a focus on bold flavor. Everything is fresh. Everything is homemade. 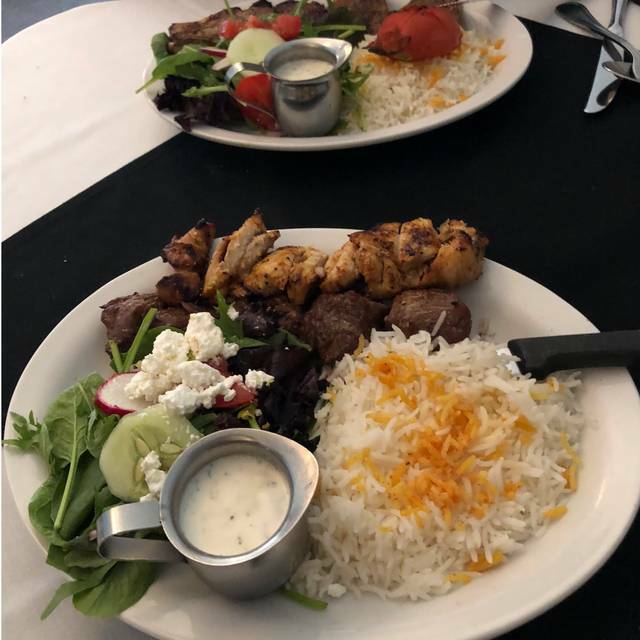 Taste buds delight in diverse offerings from exclusively marinated Sirloin Steak Kabob to vegetarian, vegan and gluten-free menu options like the critic-acclaimed Grilled Pomegranate Eggplant. Best known for an expertise in lamb, guest favorites include fall-off-the-bone Braised Lamb Shank, Charbroiled Lamb Chops and savory Persian lamb stews. Celebrating their 30th anniversary this year, the recently renovated restaurant boasts sleek contemporary comfort with the warmth of Persian art and hospitality. Owner/Chef Hamishe and daughter Natasha are often spotted making their rounds with their guests, many on a first-name basis with the family. 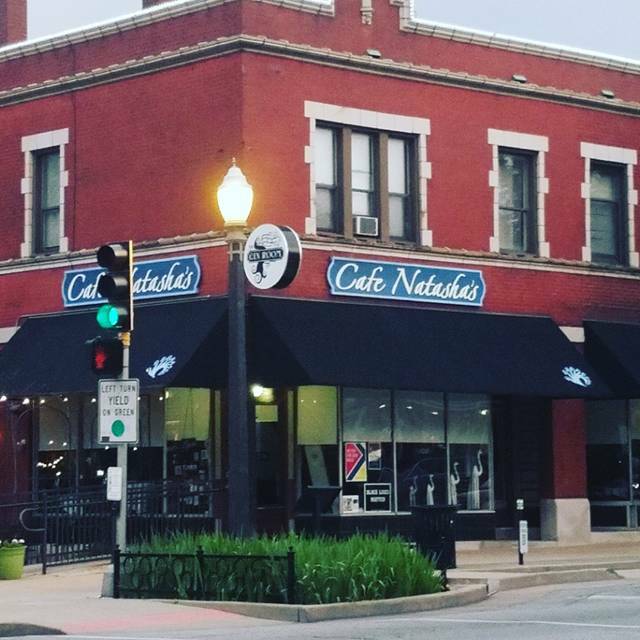 Affordable and approachable, Café Natasha’s has many options including a casual bar area, main dining room and a large outdoor patio and garden to enjoy dining al-fresco this summer. First class service, exciting cocktails, and delicious food! Couldn’t ask for a better time. I’ll be back for sure. We sat at the bar and enjoyed the bartender’s custom gin concoctions. I didn’t think I liked gin, but he changed my mind. We just had an appetizer plate, which was fantastic. The food was good and so was the service. We took friends from out of town and they loved it! We sat in the bar area which was a little dark, making it hard to read the menu. 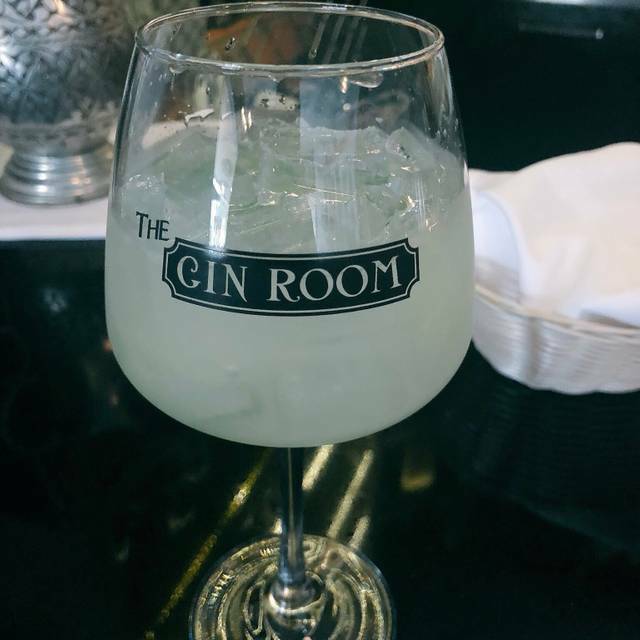 The bar is called The Gin Room and the bartender was very helpful in directing us toward one of their many unusual gins to try. Would like to explore that some more. The owner was present and she made is feel very welcome. Cafe Natasha's was delicious! The food and service was excellent, and the atmosphere was nice. We especially enjoyed the appetizer sampler and the cocktails. Would go back in a heartbeat! Always wonderful. We have been treated like family every time we visit or pick up a to go order. The food is great! Outstanding, as always. Decades of consistently superior quality food and service. A jewel in St Louis. I went with friends to Cafe Natasha a few days ago. The atmosphere was pleasant, the service was good and the food was good. We will go back. Wonderful experience at Cafe Natasha's on New Year's Eve! Service was excellent and they were very attentive to our every need even when we went from 6 to 8 people at the last minute. The food was delicious and the staff is very knowledgeable about the cocktail and wine selections. We had a really fun time and a great experience. West coasts. One of the reliable St Louis marvels. Excellent food, service, and ambiance at Cafe Natasha's. Highly recommend it for any occasion! Unique gin bar a unique feature. This family restaurant is a jewel. Food always enjoyable. Flavors were amazing! Not overwhelming, just delicious. Wonderful selection of items to choose from. Definitely would recommend this gem. I really wanted to like this place but was very disappointed. The atmosphere was lively but too dark( need votives on tables). Noise level was unbearable and the Menu was printed so small it was impossible to read. The food was overpriced and presented poorly.I had the lamb chop entree which was very fatty and salty. The staff was very accommodating but at the same time we felt rushed. I really appreciated the guidance when I ordered a gin drink that was not what I thought it was and the welcome recommendation for a substitute. When I asked the waitress if all the gin choices were listed she said "yes" but I later found that others could be requested by brand name. After coming to this location over the years I think the food is as good as ever (really good and authentic) while the ambiance and gin bar are nicely improved. The food and drink were pretty good, but we were rushed through our meal. Seemed like they couldn’t wait to get us to leave. They didn’t even ask if we wanted dessert! Other tables didn’t appear to get this treatment, so perhaps it was because we were two women on a date? Whatever the explanation, we won’t be going back. Consistently great Persian delicacies. Vegetarian dishes. Meat dishes. Really great!! Service was prompt. It was raining and they took our umbrellas to dry out. We were there prior to a concert. The service was stellar. The drinks were fabulous!! The food delicious!! Thanks for a lovely evening! 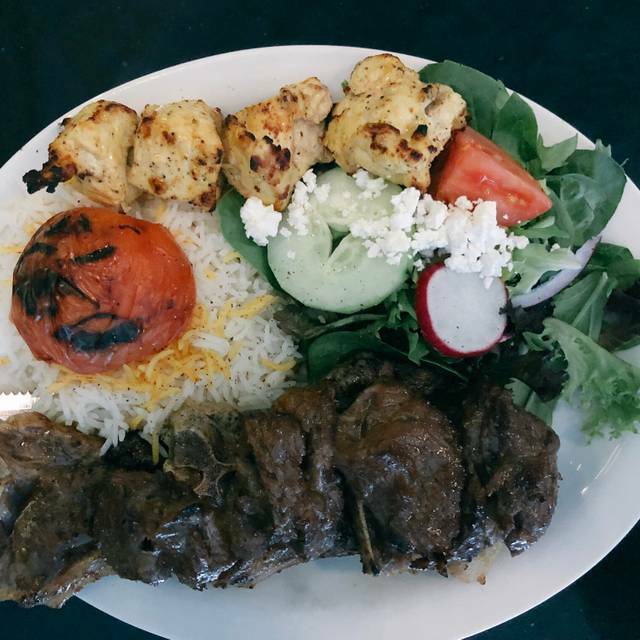 I was told to visit Cafe Nastasha’s for its Persian-inspired cuisine. 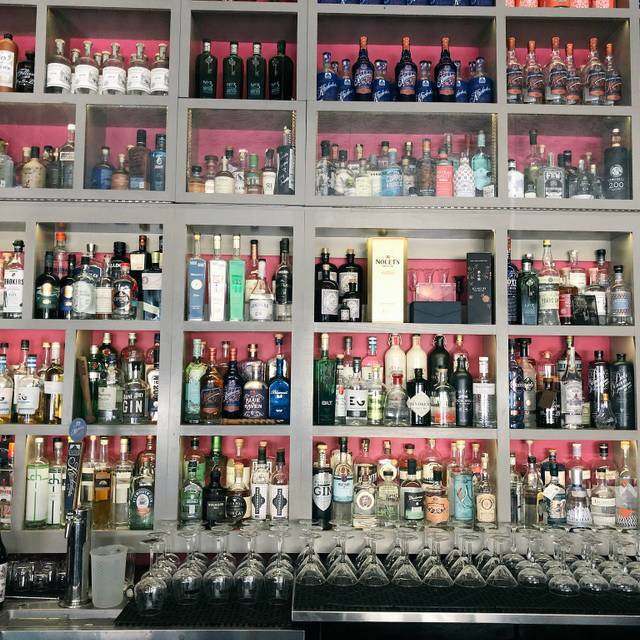 But the biggest surprise was the Gin Room and its assortment of gins from around the world. The restaurant is named after the daughter who started the bar! 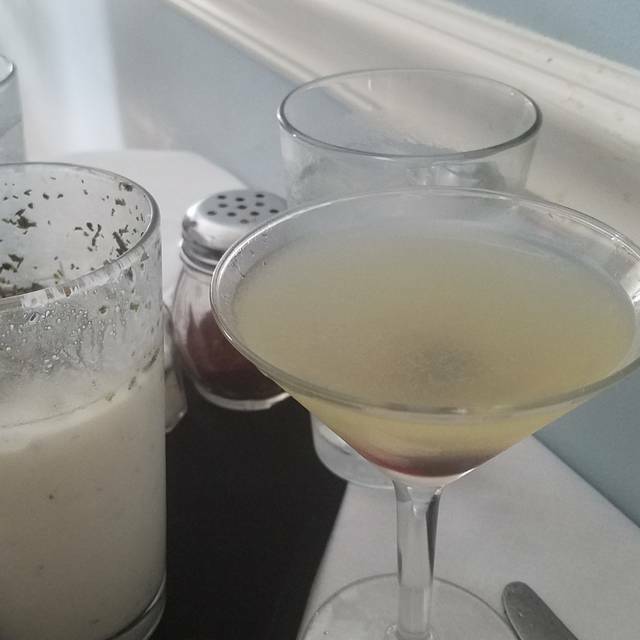 I tried Val’s Porch and the Knickerbocker Gimlet. Both delish craft cocktails! 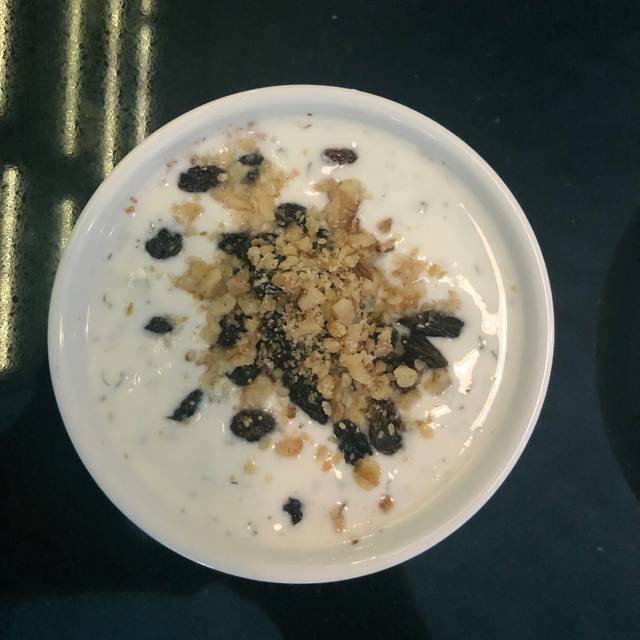 Started with the cold Yogurt Soup which was refreshing on a warm day. My server recommended the Crispy Rice Crust as a must-try appetizer, but after I ordered it, she discovered they were out. So no appetizer. I was wanting to try the kabobs and my server suggested I do a combination of three kabobs: Lamb Chop, Beef and Chicken. I was underwhelmed by the Lamb and Beef which were tough and hard to cut. I almost needed a spare plate to just cut my entree. After my meat feast, I passed on dessert, which probably was a mistake. When I paid, I learned two $1 up-charges for my sides was added, even though I wasn’t told this in advance. The food was great. Lamb & fish were cooked perfectly. Our server had better things to do than worry about us. She forced our meals on us 2 minutes after we received our appetizers. We didn't see her again until we were done eating, at which point she could have cleared some plates, but elected not to. Food great. Service terrible. Great patio. The service was excellent. We received our drinks and appetizers right away and our water glasses were never empty. The waitress made some very good recommendations since we weren't all sure what to order. The food was amazing, very flavorful and perfectly prepared. We will definitely be back! one of our favorite places in St. Louis! Great food, good prices and friendly people. An excellent dinner in a quiet atmosphere where one can actually have conversations! We will definitely return to try the outdoor section which looks quite charming. The menu is broad enough to accommodate vegetarians and meat lovers. Everything tastes fresh and distinctive. The osh soup is yummy. Wonderful food - I had the vegetarian kabob and my husband had the beef kabob. Delicious. 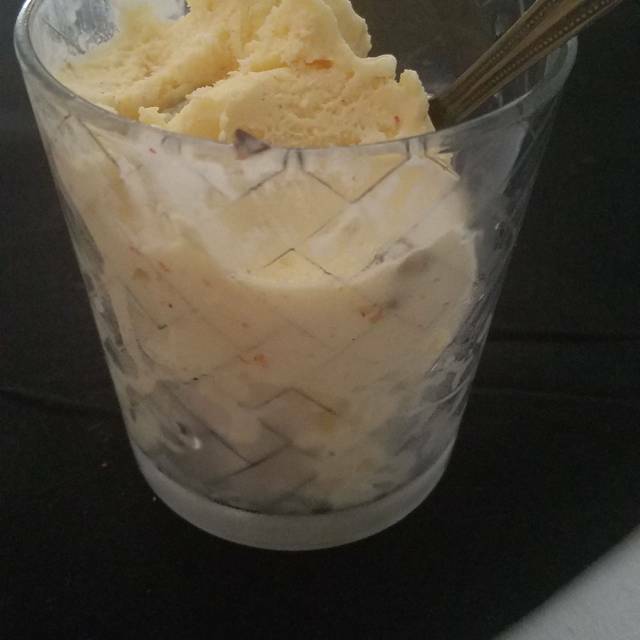 Make sure to try to Persian ice cream - a light treat after the meal. The service is outstanding. The staff was very friendly and appropriately attentive. Ambience was very comfortable and it was easy to carry on a conversation. Was a little disappointed in the food. There were virtually no vegetables to balance out a meat meal. Although the flavors were good, they weren't very complex. You can order a salad to replace half the rice. The salad was lovely but the dressing, which comes on the side was wickedly spicy. I like flavor , not heat. Enjoyed the special pomegranate martini, but it was very light on the alcohol. Would like to go back and try other options. It was a great menu. Everyone loved their food except me. The curry was bland and tasteless. All else was great. Excellent reviews from all 13 people in our dinner club. Food and drinks excellent. Should be included on St. Louis travel guides. They had a little trouble accommodating 13 people at one table. Space is small. I would make reservations which could be done on their website. Noise level was high/very hard to hear each other talking at our table. There were 8 adults in our party and everyone enjoyed the dish they picked! Awesome sirloin kebabs and saffron infused rice. Will go again. 1. We were given a single "drinks" menu for a table of 9, and received only 2 more when we asked for additional menus. 2. The gin drinks we were served were not what we ordered, a surprise for a restaurant that is supposed to specialize in gin drinks. 3. We requested one split entree, but received two instead, and were charged for two. 4. The waiter was not particularly friendly, so different from the service we received at another restaurant the day before. I will not go back to this restaurant. We are always looking for new local places to take our out of town company for dinner. This was a fabulous place with unique cuisine. Food wasn’t terrible or anything. However, it was quite bland and everything seemed to have been reheated from a microwave. We chose Natasha's based on very good reviews on Open Table and elsewhere, and while the food was tasty, the service was pretty terrible, leading me to think there are many more dining options to try next time family comes from out of town. Two cocktails were made wrong and one of the entrees did not come out until A) the other three of us were nearly finished and B) the alpha male in our party flagged down the owner (manager?). Our waitress must have been very new, but that does not excuse either her lack of training nor her blaming the holdup on a very busy kitchen. Second visit. Their food is wonderful and the atmosphere is low key but exudes an old world elegance! Well, I'm sad to write this but I LOVE Mediterranean food and really looked forward to our dinner. They were very nice there and attentive.The appetizers - a mixed plate of 3 dips with fresh pita - all very good and the pita was soft and warm- we were excited for our dinner. Unfortunately it fell short on flavor and the lamb chop was very thin and not so tasty. I had the mixed Garlic chicken and Sirloin kebabs. The beef - chewy and the chicken flavor- not quite shawarma flavor sauce /marinade. But the big thing was- if they would have grilled or seared the meat- as they do in all great Mediterranean kebabs, shawarmas, etc- it would have given some character and flavor and a touch of crispness and yumminess. They look like they are grilled, but there was no grilled flavor or crustiness on the edge anywhere. The poor sirloin- medium rare- yes- but chewy and not given the right attention- sear or grill the meat. The lamb chops were very, very thin and not much taste. The salad was delightful, though and the rice tasty. I was so unsatisfied that the next day, I dug out my favorite chicken shawarma recipe, and made a huge batch of it on the grill to satisfy our need for Mediterranean food. Please advise the chef to make these changes. We had a lovely evening though and the food was not bad- it just wasn't great- and it should have been :( There are too few Mediterranean restaurants in town. Apparently this appeals to the STL palate. We miss Saleems and hoped Cafe Natasha would fill the void. We will happily come back for drinks and appetizers- very delicious. Very attractive restaurant with very good food! Found this restaurant on Yelp while visiting St Louis. Went there for Mother's Day Dinner. When we arrived we waited almost 5 minutes for a host to seat us. Food was good but not worth the high price tag. Restaurant is really more of a large bar with a side for a restaurant. By the end of the meal service was extremely slow and we were told that they were short on help although the restaurant wasn't full and there were ample servers walking around. It seemed that the bar side received the most attention. There is also a mandatory gratuity for parties of 5 or more (We had 4 adults and 1 child). Food was fair quality, but lacked flavour-fulness that I would expect.